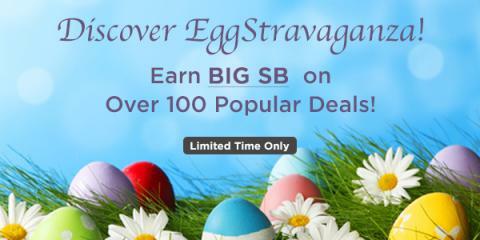 Savvy Spending: Swagbucks: Earn Big SB's with over 100 popular deals! Swagbucks: Earn Big SB's with over 100 popular deals! ?eStories: Find your next favorite Audiobook and earn 2,000 SB!? ?Foodstirs:Introducing Foodstirs' simply delicious Darling Daisy Cookie backing kit. Purchase a 3 month subscription NOW with code SB50 and earn 4,000 SB?